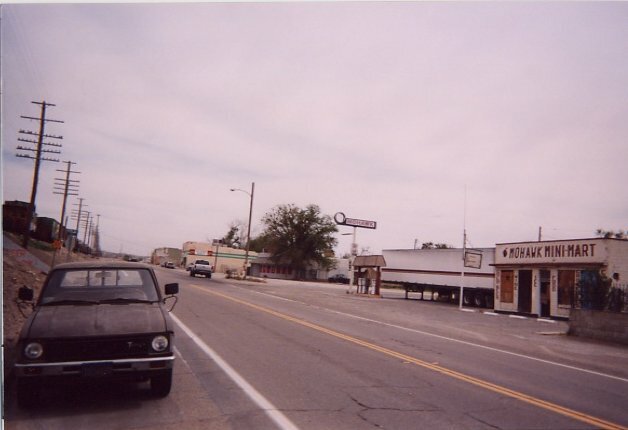 Two shots of an old Mohawk station in downtown Oro Grande, CA on Route 66.
but he's still painted on the front of the building, which is now closed. one of the first chains to offer that. the larger stations were taken over by Arco. The smaller outlets, like this one, were abandoned. 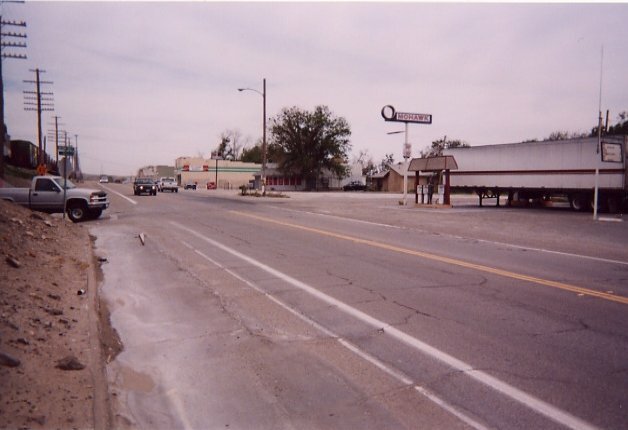 Photo taken April 2003 by J. Eric Freedner. 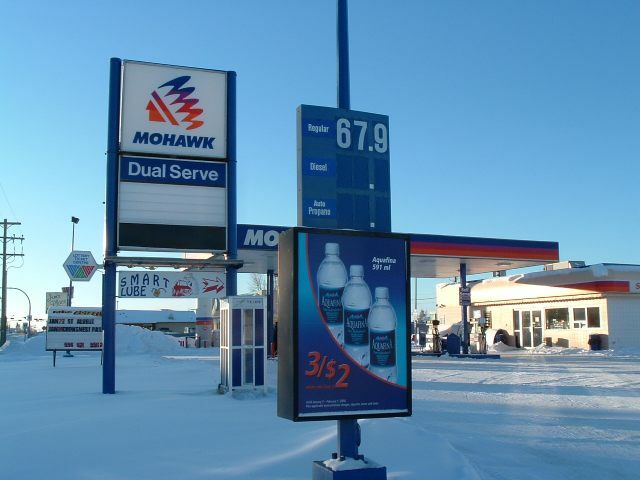 A Mohawk in Dawson Creek, British Columbia. Taken in summer of 2003 by Craig Solomonson. 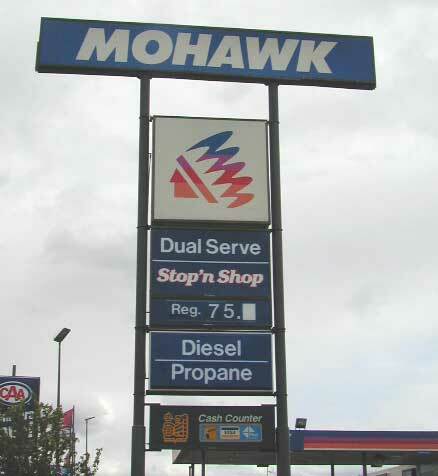 Mohawk on SK 2 in Moose Jaw, Saskatchewan, CA. Taken July 7, 2002 by Rich Piehl. 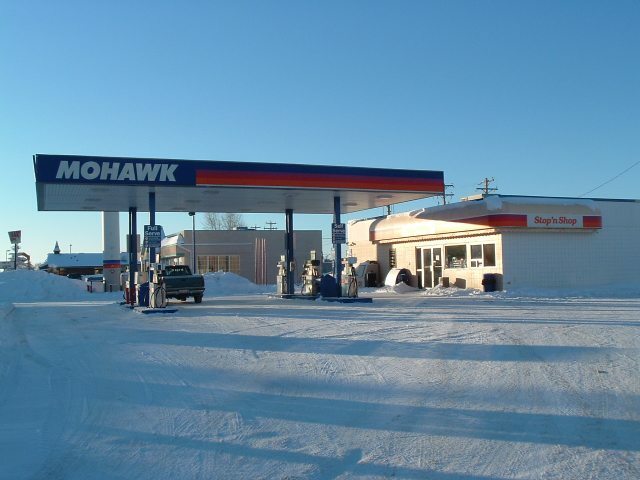 Two photos of a Mohawk station in Olds, Alberta, CA. Taken around Feb. 1, 2004 by Travis Meginbir. Mohawk and Husky are the same company now.